Ross Barton is a trial lawyer focusing his practice on the litigation of complex patent disputes before district courts and the International Trade Commission (ITC). With a background in Physics and a deep understanding of mobile technologies, semiconductors, and software and hardware programming languages, Ross has spent the last decade taking high-stakes cases in the high-tech sector to trial. 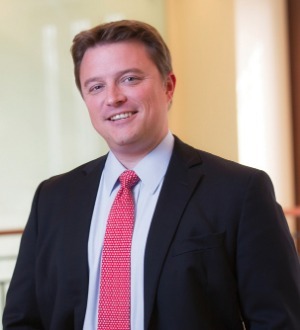 He previously taught patent litigation courses as an Adjunct Professor at the University of Virginia School of Law and at the Catholic University of America’s Columbus School of Law. He currently serves as the Hiring Partner for Alston & Bird’s Charlotte office and previously served as the vice chair of the Intellectual Property Owners Association’s ITC and Damages & Injunctions Committees.